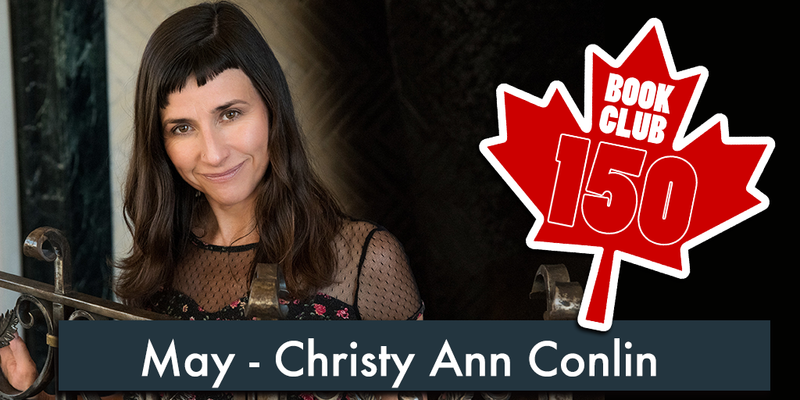 Christy Ann Conlin is a writer, broadcaster, rose enthusiast, and motivational speaker who lives in the Annapolis Valley. Her acclaimed first novel, Heave (2002), was a Globe and Mail “Top 100” book, a finalist for the Amazon.ca First Novel Award in 2003 and was shortlisted for the Thomas H. Raddall Atlantic Fiction Award and the Dartmouth Book Award. Heave was also longlisted for the 2011 CBC Canada Reads Novels of the Decade. Her novella, Dead Time, was published by Annick Press in 2011. Conlin’s short fiction has appeared in several literary journals. Her non-fiction essays have also appeared in numerous publications and anthologies. Christy Ann also hosted the popular 2012 CBC summer radio series Fear Itself. She teaches at the University of Toronto School of Continuing Studies online Creative Writing program. Her latest novel, The Memento tells the story of Fancy Mosher as she lives and works in the servants’ quarters at Petal’s End, a mansion belonging to the famed Parker family. Fancy grows up listening to ghost stories and watching the Parkers from a safe distance with her best friend, Art, but the summer she turns twelve she not only learns that her family has been hiding a secret, she also begins to experience first hand the secrets and horrors held within the estate’s walls and buried in its lush gardens. Come hear Christy Ann Conlin read from her book at the Berwick & District Library on May 31, 6:30 PM. Enter to win one of two Memento Gift Bags, including a copy of The Memento courtesy of Doubleday Books. Superstition & ghosts abound in Christy Ann Conlin’s latest book, The Memento. Tell us a favourite Nova Scotia superstition or name a haunted place. Answer online with the hashtag #BookClub150, or fill out a ballot at your local library. Contest ends May 31, 2017.